Good morning everyone. This is my second post for this morning. 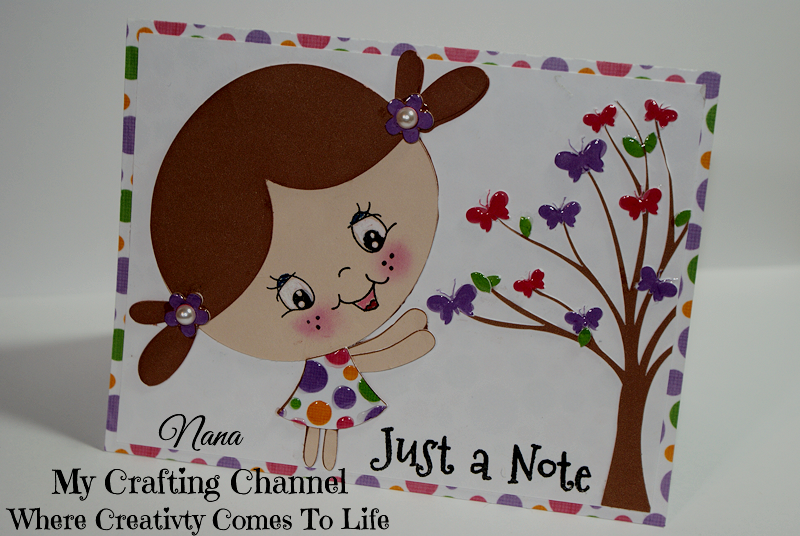 PLEASE check out my other post it's all about using the Silhouette Stamp Kit and a card made with it. Click HERE. Kaboddle Bug Designs had a fabulous hop and fan celebration. I was able to buy many of their files for a whopping 90% off. This little girl (Sweet Love) was one I purchased. I wanted to make a card to kick off the Monthly Showcase with her. I did not cut out the face piece and added a Peachy Keen face instead. I also cut away the attached heart that she was holding. I think she is adorable what say you? 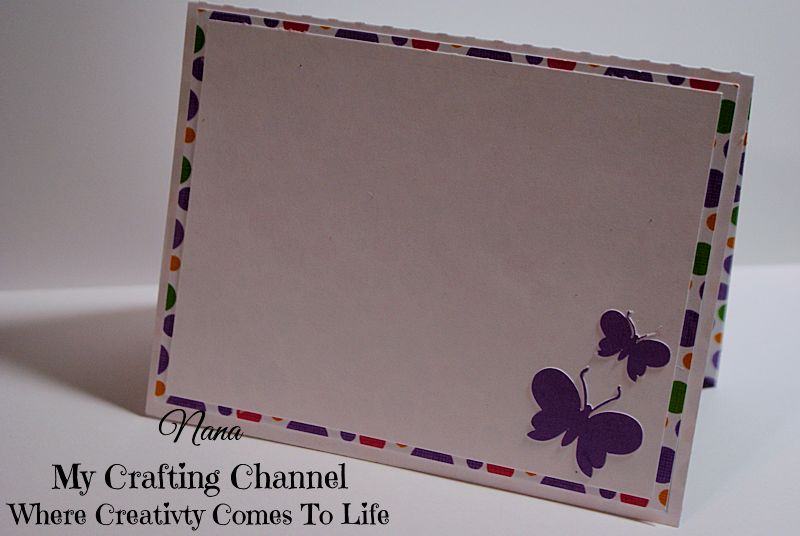 Such an adorable card - love the name ;-), and the butterflies are so cute! What a lovely card!!! Love the PK face and the sweet little girl!! Love this card!!! Have a great day. Absolutely adorable Nana! I love the face..she is sweet! She is adorable, so is the card. Love the glossy accents. Absolutely adorable, love the sweet face on her! She is a cutie pie!! Love the PK face and her adorable outfit! What a darling card. Thanks so much for stopping by to share your talents with us. We love to have you play along, and we hope that you will join us again soon. This is just pure delight. Loving the cheerful colours and the flowers in her hair. She is adorable! Love her Peachy face. Isn't she a real cutie!! ?